But it wasn’t enough to steer them into the final after London Lions’ heavy win in the first leg. The Giants showed spirit to defeat their table-topping hosts in a game that went to the final minute. But the damage was done in the 101-74 defeat in Manchester on Sunday, allowing the Lions to progress with a 201-179 aggregate victory. Even with big man Willie Clayton fouled out of the game before the half-time break, the Giants went about their business with purpose. The 28-point win required to turn around first-leg defeat was always going to be an unlikely achievement. 🎥 Roosevelt Davis (@Roose_LDN) hits his first ever BBL three-pointer. But Danny Byrne’s men stuck to the task. The first period ended 20-20, it was 53-51 to the Lions at the break and 81-75 to them going into the final period. But the Giants had a late surge to take the win on the night with Torry Butler leading the way with 24 points including some key scores late on. Ingus Bankevics and Vlatko Granic scored 23 and 20 respectively, while Mike McCall also handed out 11 assists to go with 10 points for a double-double. Dean Wanliss chipped in with 12 points in 12 efficient minutes. 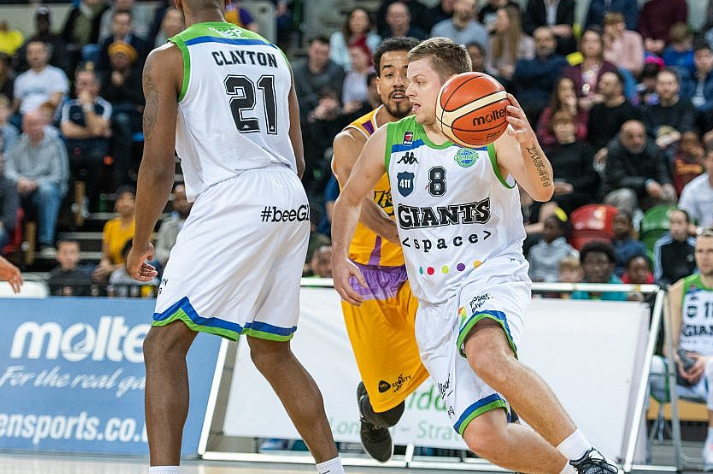 The Giants host Newcastle Eagles in the league on Sunday (5pm).